Pull off an awesome Wonderwoman impression! This Hoverboard Will Give You Wings! Always dreamed of flying majestically through the air with ease? 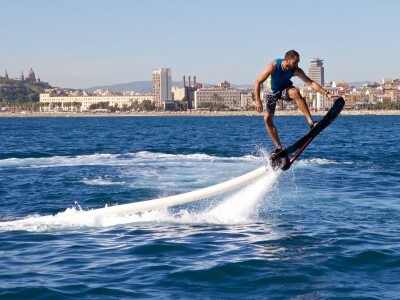 Why not try the newest, most-extreme water sport on your hen do in Barcelona? 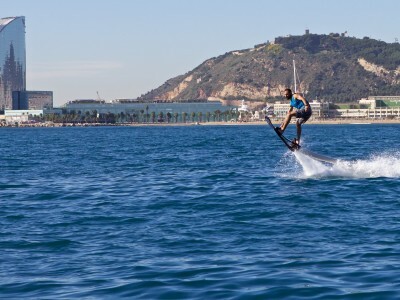 These incredible hoverboards are sure to give you a wild ride! 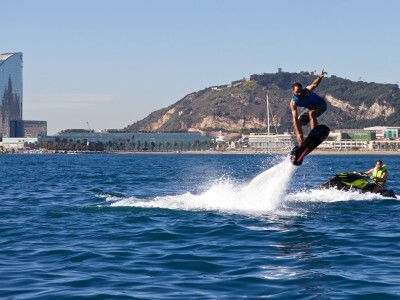 The hoverboards are propelled by powerful jets of water, and enable you to pull off an amazing Wonderwoman impression! 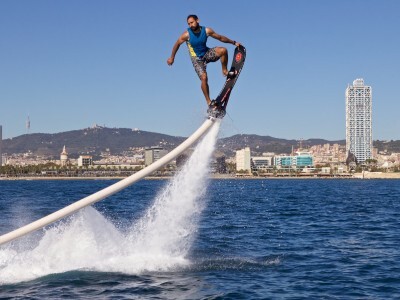 You will soar up to 5 meters above the water at crazy speeds of up to 25 miles per hour! The flying sensation is like nothing else and will give your hen something to remember! Looking for longer than 15 minutes? Get in touch with us and we can organise some extra time at an additional cost, in increments of 15 minutes.